"[the embryo] doesn't know that it is alive or feel any pain and the experiments will help living people that are aware that they are in pain". The idea that a zygote or 3-day old embryo being a person is so ludicrous that not even a hard-core pro-lifer can take it seriously. This includes Scott Klusendorf. 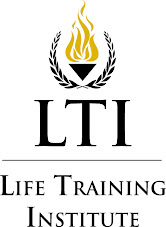 In one of his apologetic classes, Klusendorf discusses with his students what to say if they were asked the question, "There is a burning lab. There is a new born baby that is still inside, and it will die if you don't save it. There is also a cannister of 100 frozen human embryos, and they will be destroyed if you don't save them. If you only have time to pick the baby or the cannister, which do you save?". This would be a very easy question if it were merely 1 person vs. 100 persons. Obviously, you save the 100 persons. If one really believes the embryo is a person, then this is an easy question as well and the answer is "I save the 100 embryos and leave the newborn." Not even Klusendorf says he would save the 100 embryos over the 1 newborn. He basically changes the question, and states that by not saving the embryos doesn't mean they're not persons. This is true. 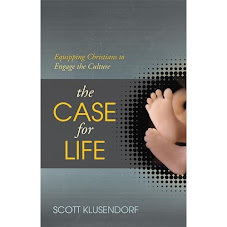 Klusendorf's reluctance to save the embryos doesn't prove the newborn has more value. He could be wrong. However, it does show he doesn't take seriously the idea that an embryo has the same value as a newborn. He wouldn't have difficulty answering if it were saving 1 toddler verses 100 toddlers. So while this doesn't establish moral truth on abortion, it shows pro-lifers don't even believe their own arguments. There are other questions that will produce the discomforting feeling of cognitive dissonance in pro-lifers who insist the fetus is a person. The classic one is asking if women who kill a fetus by having an abortion should go to prison, and if so, should it be a similar prison sentence as a person who killed a toddler? You correctly addressed your own comment. When it comes to determining either the humanity of the unborn or their value, the emotional responses of other people tells us absolutely nothing. Intuitions are important, but the entire pro-life argument is centered around the idea that certain factors - including our emotional responses to embryonic human beings - are clouding our moral considerations. You might just as well point to the fact that 1.2 million unborn human beings are aborted every year in the US as evidence that the unborn obviously are not human. After all, if people don't believe they are it must be so. I think you need a more convincing line of evidence to undermine their humanity or value than "Scott says he would save the girl." Scott also makes it clear he would save his daughter over other living breathing feeling human beings. Does that prove somehow that he doesn't believe they are human as well? You miss the part of the discussion where Scott talks about the difference between triage, deciding who to save, and deciding who to kill. That is an important distinction. I assume that you would not consider the lack of suffering of an anesthetized patient as grounds to kill them violently so I can also assume we need a more compelling case for our freedom to kill embryonic humans as a material resource for others than that nascent human life cannot feel pain? I think you misunderstand the term cognitive dissonance. Since the pro-life argument is not built upon the idea correct intuitional responses are necessary for us to identify the unborn as human (science) and argue human life has intrinsic value (philosophy). Even with a generous evaluation, the burning research lab at best accurately diagnoses the very problem that pro-lifers are talking about. We treat the unborn as less important without compelling evidence that we should. That is not dissonance. As to how to legally approach laws restricting abortion, those laws were on the books for quite some time with legal reasoning behind the choices that were made. This is not ancient history, so instead of reinventing the wheel let's just revisit previous laws and the rationale established for the limits of punishing women. They were based on a number of considerations including the idea that catching the doctors was more important than punishing the women and the inability to prove that the fetus was alive immediately prior to the act of abortion made prosecution on charges of homicide tricky. Instead of approaching the question like it was the riddle of the sphinx we can just read legal history and build from there. Of course first people must be convinced that unborn human beings are the same as them in important ways that have nothing to do with immediate exercisable capacities and level of development, so I will continue to focus on that for the time being. Suppose we are both debating some misguided animal rights activist who asserts that amoebae have the same value as people, as we ask him the same "burning lab" question as I asked you about embryos. Like you, he answers he would save the newborn and leave the 100 amoebae to burn. True, his answer by itself doesn't establish that people are more value than amoebae. All of us could be wrong. But what it does show is that he is asking people to believe something that he himself doesn't believe. And pro-lifers are doing the exact same thing by asking people to believe a proposition they themselves don't believe. Scott Klusendorf says he begins debates by telling the audience he will concede the debate if his opponent can show the unborn isn't a person. If I were his opponent, I would bring up penalties for women who get abortions, and the burning-lab question. When he claims that he would save 1 newborn rather than 100 embryos, and that women who kill fetuses shouldn't go to prison, I would tell him, "I'm not positive what arguments convinced you the embryo isn't a person, but it's obvious you believe it. So concede the debate." If a zygote or a 3-day old embryo is not a human being, can you kindly explain at what point the maturing zygote/embryo becomes a human being and if your criteria is simply a convenient definition acceptable to society or a binding intrinsic absolute? "But what it does show is that he is asking people to believe something that he himself doesn't believe." i don't think that it shows that at all. Let's say there are a hundred strangers (aged 20-60) in the burning building. My 3 year daughter in the building too. I can save all 100 of those strangers or I can save my daughter. I choose to save my daughter. All this tells us is I'm emotionally attached to my daughter while I have no emotional attachment to the strangers. It certainly doesn't mean that, in other circumstances, I should, without extreme justification, be able kill anyone of those strangers. My arguments and my beliefs that those strangers are fully human deserving of human rights is in no undermined by my choosing to save my daughter. The pro-life movement isn't about punishment. It's about stopping the killing of the innocent. We should use the best methods to stop the killing. I think we should make the abortionist both criminally and civilly liable. But, honestly, if there's a better way to stop the killing then I don't care if we even punish the abortionist. This isn't because he's not a murderer (he most certainly is) but because stopping the killing is the point, not punishment. Morally speaking, there is no difference between killing your baby before birth or after. Of course, since 1973, society's propaganda machine has pounded the idea that unborn babies are nothing but "blobs of tissue". In light of tis considerable brainwashing, culpability could be considered lessened. But all things equal, equal crimes deserve equal punishments. I would note that both posters who responded to me have changed the question or topic entirely. If the embryos are persons, the burning lab question should be very easy. (Of course you save the hundred embryos.) Drew changes the question to letting his own daughter die verses letting 100 strangers die. This is a different scenario, where in the original question everyone was a perfect stranger. Note even he can't answer the original question. Also, if he allows 100 people to die to save his daughter, I suspect both later he and his daughter will both have second thoughts about letting 100 people die to save her. On the other hand, if it were a cannister of embryos, I can't imagine there ever being second thoughts about which was more valuable. Finally, if the daughter is this important, I can't imagine how you would allow abortion if the life of the mother is at stake, honorable as this exception is, because in this case you would be killing the child to save the parent. kpolo asked me when I think an embryo becomes a human being. That is like asking at what temperature does it have to be before it's considered cold. If you think it has to be 35 to be considered cold, are you going to say that 36 is not a cold temperature? Give the month, day, and year when you became a mature adult? How many decibels can a noise be before it's loud? When discussing abortion, there are a lot of unhelpful questions, such as "What is the unborn". That is like handing every post-modernist a loaded gun. Equally unhelpful in the debate are such theological questions as "Can a woman be forgiven by God after getting an abortion?". Nor can we ask "Is an abortion moral". Adultery is immoral, but legal. The true question relevant in changing the abortion law is this: "Now that a woman has gotten an abortion, what should she be legally?" Is she a murderer in the eyes of the state, deserving of a murderer's punishment, or isn't she?" Many pro-lifers think that abortion is murder, but that a woman who has an abortion shouldn't go to jail. The logic they give is very twisted, but equally problematic for them is the law. US law has something called equal protection, and one effect is that if anyone is murdered, the state must attempt to prosecute the murderer. This is a by-product of the civil rights era when a black person was murdered and it was not prosecuted by a racist district attorney. So if a fetus is killed, and the law considers it a person, both the woman and the abortion doctor must be prosecuted by law. Something to remember in these personhood initiaves. "This is a different scenario, where in the original question everyone was a perfect stranger." I disagree, Michael B, that my example is different in the ways that you need it to be. All pro-lifers recognize that it's difficult to be emotionally attached to an embryo who doesn't have arms or legs yet. Right there at the beginning of life, each of us is very unattractive... we look completely unimpressive. Yet, when I look at a five week embryo, i see her hands starting to divide fingers. i see her eyes developing. i don't see a thing but a "me". It's much easier to be emotionally attached to a human being who looks like us. Hence, i'm making the claim that the reason Scott would choose a born human over 100 newly conceived embryos is because of his emotional attachment based the way the born human being looks. We know that emotion may drive us to make certain decisions in the heat of the moment (or the heat of a burning building :-) but that emotion is an extremely weak basis upon which to build any case. Therefore, attacking Scott because of his emotional reaction doesn't work. Your argument falls apart. You need to attack the reasons and the evidence for his case. Your burning lab example doesn't do that. Michael B, i disagree. My example is not different in the way that you need it to be. i'm claiming that Scott would choose the born human over the newly conceived humans because he has a greater emotional attachment to the born human. All pro-lifers recognize that it's difficult to have emotional attachment to an embryo who has no arms or legs. Right there at conception, human beings are completely unattractive, totally unimpressive looking. Yet, when i look at a five week embryo, i see her hands dividing fingers, i see her eyes developing. i don't see a thing but a "me". It's much easier to have emotional attachment to human beings who look like us. I'm sure you agree that emotion is an extremely weak basis upon which to build a case. That's why pro-lifers, including Scott, use reason and evidence to support their case for human rights. Attacking Scott for his emotional reaction in the heat of the moment (or heat of a burning building) does nothing to dent his case because his case isn't built on emotion. Your burning building example fails. My counter-example exposes your fallacy. "Finally, if the daughter is this important, I can't imagine how you would allow abortion if the life of the mother is at stake"
It's not a matter of my daughter's importance but of my emotional attachment to my daughter. Principle is the basis upon which we should reason, not emotional attachment. There are two principles that suggest a women should be able to have an abortion when her life is in danger: double-effect and self-defense. "So if a fetus is killed, and the law considers it a person, both the woman and the abortion doctor must be prosecuted by law." No, not necessarily. A lot of times prosecutors will grant immunity to lesser criminals so that they'll testify against the greater criminal. This could easily be the case with abortion. You can imagine that it could be very difficult in many (perhaps most) circumstances to prosecute abortionists without the testimony of the women whose children he killed. A second point to consider is that not all killings are "murders". There are different types of homicides: 1st degree murder, 2nd degree murder, and manslaughter of varying stripes. Each one of these deal with different culpability. In fact, in some jurisdictions, the punishment for murder is greater if the victims is an on-duty policeman. Does this mean the policeman is more a of human being? i think you make too much of the problem pro-lifers have with pronouncements of punishment. There are two problems. The first problem i mentioned earlier is that punishment is not the point. The second is strictly political. Abortion advocates love to portray pro-lifers (and conservatives in general) as heartless bastages (Johnny Dangerously reference). The whole punishment question turns into a "gotcha" deal. Pro-aborts want to harvest political hay. This political reality distorts the discussion. You misinterpret this as a sign that pro-life don't believe their position. By the way, i completely support Personhood Amendments and i'm actively working to pass the one in Mississippi. "i'm making the claim that the reason Scott would choose a born human over 100 newly conceived embryos is because of his emotional attachment"
If Scott really believed the embryos were people and this were true, then Scott is a profoundly immoral person. Think about it. He is saying that even though he believes the embryos are human beings, he is still going to allow all of them to die because he has no emotional attachment to them. I actually don't think Scott is profoundly immoral, but rather he is resorting to say anything in his attempt to show an embryo is a human being. Suppose Scott had to decide which one of these would die: his beloved family cat, or a 20-year old man in another state whom he will never meet and never know anything about. He would of course choose to save the 20-year old man. I can't imagine his "emotional attachment" would cloud his judgment. "A second point to consider is that not all killings are "murders""
"You need to attack the reasons and the evidence for his case"
I haven't attacked the statement is "abortion is murder". What I have attacked is "you believe abortion is murder". So while I haven't attacked your reasons, I have shown that your reasons don't even convince you that the embryo is a person. So if your reasons don't convince you, why should they convince me? Let's go back to the lab. Instead of 100 embryos hidden in a tank, they're each sitting in an artificial womb. Each womb has a television camera installed with proper magnification, so that technicians can watch and record human development as it occurs. There's a big bank of flat screen TV sets, so you can see the little guys in there. The embryos are at different ages from conception to 6 weeks. Now, the lab is on fire. i may save the newborn baby in the stroller or i can save 10 of embryos. What do i do? i think it's quite obvious that i save the embryos, probably the oldest ones. Because i can see the embryos, with their tiny arms, legs and so forth, i'll naturally have a greater emotional connection to them. Based on that, by your reckoning, i must not believe that the newborn has human rights. Your argument just doesn't work.